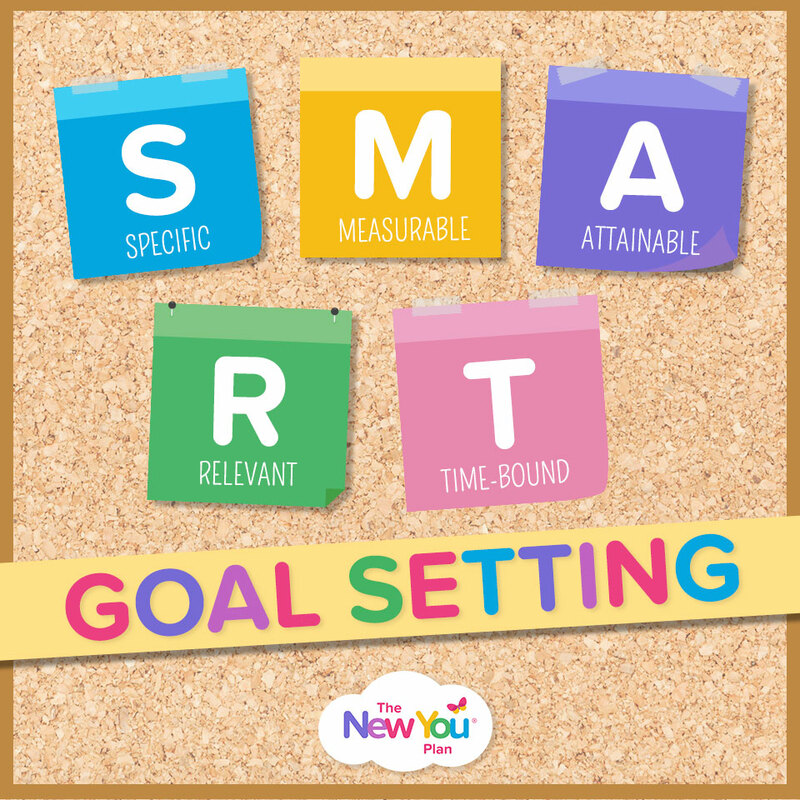 Specific, measurable, attainable, realistic and time-bound… this is how we set a SMART goal for achieving weight loss. By setting attainable goals for yourself, you’ll increase the chances of achieving your weight loss goals and maintaining those accomplishments on a long-term basis. Often we become overwhelmed, especially if you have a lot of weight to lose, spending too much time thinking about achieving our goals rather than where we actually are in the process. 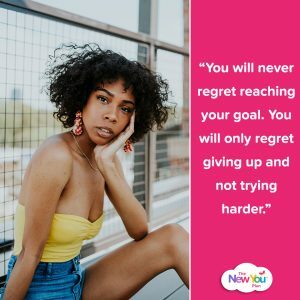 I have learnt through my own New You journey, that if you break the goal down into small, achievable bite-sized pieces, you are far more likely to succeed. I always found that a lovely reward once each small goal was met was a great incentive! Anybody can set a goal but if you don’t break it down into smaller chunks, you are more likely to wane and give in to temptation when faced with them. Here is a quick guide as to how to set and break down your goals. Why do you want to lose weight? Do you want to feel fitter, healthier, be able to run around with your children? Perhaps you have a holiday coming up and you want to look amazing in a swim suit. Make your goals measurable. You can do this by measuring yourself weekly and writing them down, which in turn can break your small goals into even smaller ones. These successes build momentum meaning you have little victories right from the start. Be accountable! This can be achieved by using a journal app on your phone or simply writing down in a physical journal how you are feeling. Describe what you are eating, your mood, your dreams and hopes for a healthier, happier you! Utilise Secret Slimmers; it is a powerful tool for accountability and motivation on a daily basis. Keep your goal realistic. If your goal is out of reach, you will become disheartened and more likely to give up. A goal should be a challenge, of course, however it should not be overwhelming. Have a time-frame. I set myself 7 months to lose six stone. I reached my goal in less time but it was important to have a rough time scale to keep me motivated and moving forward. Remember, it’s about progress not perfection. Written goals are simply dreams with deadlines. Be realistic, keep track of your goals and adjust accordingly if you need too! So what is your weight loss goal and how are you going to achieve it? Start Your TFR Journey Today!